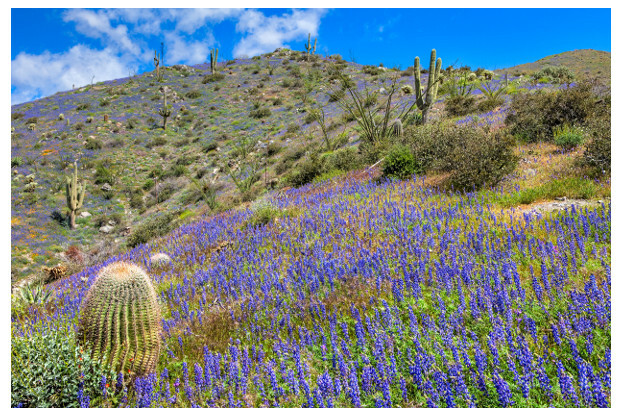 This annual wildflower is native to the deserts of Arizona and closely resembles its relative, the Arizona Lupine. It can grow up to sixteen inches tall and produces a spike of pink or purple pea-like flowers. Like most desert wildflowers, Desert Lupine prefers sandy well-drained soil and full sun. This early bloomer begins flowering in January and will continue through May. Looks great in rock gardens, along roadsides, and in mass plantings.